WOW! 78.83 Acres by the Gorgeous Battle River Valley! Just a few Minutes Southwest of the City of Camrose. 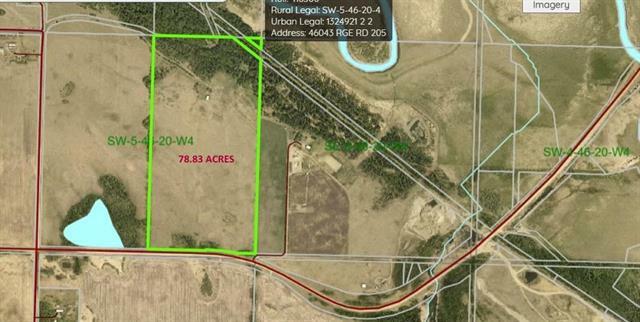 This is an Exceptional Opportunity to own 78 Acres of Good Farm Land by the Gorgeous Battle River Valley! An Excellent property for Farmland, Recreational, Building Your New Home or Just Retreating to your own Private Getaway! This property is secluded, offers a great building site and has of course the beautiful Battle River valley close by. Looking for more land there are an additional three adjoining tiles that together total 290.66 Acres. Excellent Mixed use for Grain, Pasture, Hay, Horses and or Cattle. This is an amazing opportunity to expand your existing operations or create your own private getaway! Youll Love the peaceful country lifestyle! Lot Size 78.83 Sq. Ft.